The Autism Society Philippines elects its leadership from its 13,000 strong membership every two years. The current Board of Trustees will serve from 2019 to 2020. Economics and Strategic Marketing from the University of the Philippines Diliman, University of Asia and the Pacific and the London School of Business. Drawing from her experience as a corporate communications and recruitment professional, she designed and engineered the implementation of national advocacy initiatives, such as the 1Pangako, ASP Angel Corps, A-OK Philippines campaigns and the widely-successful ASP Autism Works economic empowerment initiative. She speaks publicly on disability advocacy, leadership, and genealogy. Mona is a wife and a mom to three kids. Her eldest, Carl, is an adult on the spectrum who is active in the community -- volunteering, working on his entrepreneurial ventures. skills and pre-vocational training); and, with her husband, empowering her other adult children in handling the family business. children with special needs. She served as Directress of Bridges Foundation, Inc. Her adult son, Likas, has been employed for more than a decade. Evelyn O. Go (National Treasurer) has served as the ASP's Treasurer for multiple terms, with her invaluable no-non-sense financial management skills and business instincts. Evelyn juggled between managing her multiple businesses and taking up her MA in Special Education at the University of the Philippines, Diliman to help her son on the spectrum, Gelo. 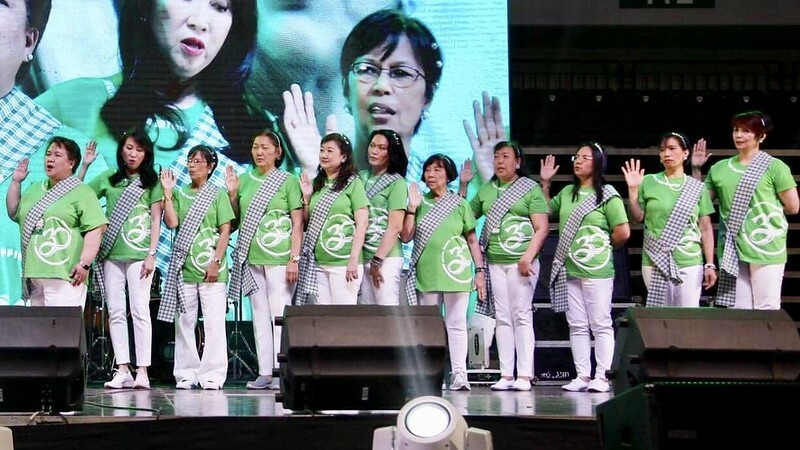 Helen Q. Cheng (National Auditor) has orchestrated many major ASP events during the National Autism Consciousness Week celebration, World Autism Awareness Day, among others. Helen graduated from University of Santo Tomas with a BS Commerce degree. She attends to their family business and nurtures the creative talent of Kenrick Albert, an artist on the spectrum. adult on the autism spectrum, who propels her to be a passionate autism advocate. Mary Grace L. Adviento has contributed to the autism advocacy in multiple capacities, most significantly as ASP’s President from 2010-2012. She was a pioneer facilitator for the ASP Early Detection and Intervention Program and SM Caring for Customers with Specials Needs seminars. Grace is mother to Adrian, a young man on the autism spectrum. Carmel C. Almendrala has served as an ASP trustee since 1996. Carmel was honored with an Ulirang Ina Awardee in 2010. She labored tirelessly to advocate for her youngest son Michael and for other persons with autism, as they relocated across many countries because of her husband's diplomatic work. Mike is employed at the Philippine Information Agency. Imelda C. Alviso is a former OR Nurse at Saint Luke’s Quezon City and is a mother to three kids, including Andrea, a teenager in the spectrum. She served as the immediate Past President of ASP Parañaque Chapter. Donna Lim is a dedicated choreographer who can work with dancers and actors of all ages and experience levels. Donna graduated from the College of the Holy Spirit with a BA in Fine Arts, major in Advertising. Donna is also a Philippine Mixxedfit National Trainer and Master Educator. She contributes to the Angels Walk for Autism as the annual war-up coach and is a regular fitness volunteers at ASP PWAy Day. Donna is a mom to Desly, a young lady with autism. Ma. Joyla N. Ofrecia earned her Master’s Degree in Special Education from Angeles University Foundation in 2012. She specializes in instruction for CWAs, home program management and behavior management. She serves as the president of the ASP City of San Fernando Chapter. Joy is a mom to budding visual artist Juris. Ma. Victoria Ramos serves as the current Vice-President of ASP Laguna Chapter. A Trainer for Work, Live and Play Program to young adults with autism at Autism Resource Center (ARC), Marivic is a pillar of the autism advocacy community in Los Baños, immersing herself in special education and training and empowerment programs over the years. As an ASP delegate, she was elected to the board of the Philippine Community Based Disability Inclusive Development Association. She is a single mother to a young adult with autism, Mico, who works at the Autism Resource Center and SM Markets.